This internship is for undergraduate students and lifelong learners of all ages. It provides hands-on experience with a zero-waste sustainable food system. The intern will gain exposure to all of the components that go into this growing environmental movement. Acting as manager at our farmers market booth, the intern will supervise volunteers and oversee the market operations. The intern will be involved in the sales and distribution of prepared foods and the collection of community compostables at our booth, as well as collecting, weighing and recording donated food from the farmers at the end of the market. Academic credit and community service options are available. At this time the internship is unpaid. Get to know your food: where it comes from, who produces, who supplies it. Seek local foods from sustainable producers: whenever possible, shop at a farmer's market, CSA, or local food co-op market. Buy fair trade and organic imports for foods that are imported because they will not grow locally (coffee, tea, cocoa, spices etc. in the Northern Hemisphere). Share your concerns with local grocery stores and restaurants. Consumer boycotts have been very powerful in this country. Demand labeling in your packaged foods & read your labels carefully. 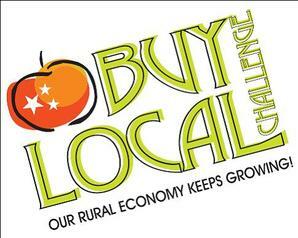 Purchase grass-fed / pastured, humanely raised local animal products. Look to the Monterey Bay Aquarium "Seafood Watch" Guides. These guides contain the most updated information on sustainable fish options. Avoid pesticides and other chemicals. Buying organic products is the surest way to do this. When availability and/or cost is an issue, try to purchase the following fruits and vegetables grown organically, as the conventional versions are especially high in chemical residues: apples, cantaloupes, celery, cherries, grapes, green beans, peaches, raisins, raspberries, potatoes, spinach, strawberries, tomatoes & winter squash. Avoid Genetically Modified Organisms (GMO). This is especially important with soy, corn and canola. If it isn't organic, it is likely to be a GMO. Eliminate High Fructose Corn Syrup from your diet. Not only does HFCS contribute to the obesity epidemic, but its production contaminates and depletes the soil where vital food crops once grew.